Welcome from President Mary C. Finger, Ed.D. With a new academic year underway, all of us at Seton Hill are excited about what the future holds for this institution and our students. We recently welcomed the largest freshman class in Seton Hill history to campus. About a quarter of the 430 members of the Class of 2021 came from outside Pennsylvania, and more than 40 percent are studying in the School of Natural and Health Sciences with Visual and Performing Arts and Business being other popular areas. In addition, we welcomed 57 transfer students, bringing the total of new students to campus to 487. They arrive at Seton Hill as we make important changes to both our physical campus and our academic programs that will provide them with new opportunities to live, learn, study and grow. The expansion and restoration of Lowe Dining Hall has just been completed, and we are welcoming students into a space that maintains the historic beauty of Lowe while providing room for our growing campus community. As we look for additional ways to enhance the Seton Hill campus, we also recognize that the world is also a campus for our students. Seton Hill students continue to develop a global perspective inside and outside the classroom. They are traveling abroad to appreciate the beauty of the Sistine Chapel and the engineering feat of the Great Wall of China. They are bearing witness to the atrocities of the Holocaust by working with a renowned researcher, and they are putting themselves in the shoes of the citizens of Cambodia – representing that nation at the Model United Nations. Historically, our liberal arts preparation has been integrated with a practical worldview. We embrace the model of the Sisters of Charity – who have made real change in the world – through our commitment to preparing students and to creating and enhancing academic programs that impact our region and world. And partnerships with Salus University leading to doctoral degrees in Audiology and Optometry. The new programs reflect Seton Hill’s ability to quickly react to workforce needs and develop academic majors and partnerships that will provide our students opportunities to find careers in areas of growth while maintaining a commitment to the liberal arts skills that employers want in their employees. 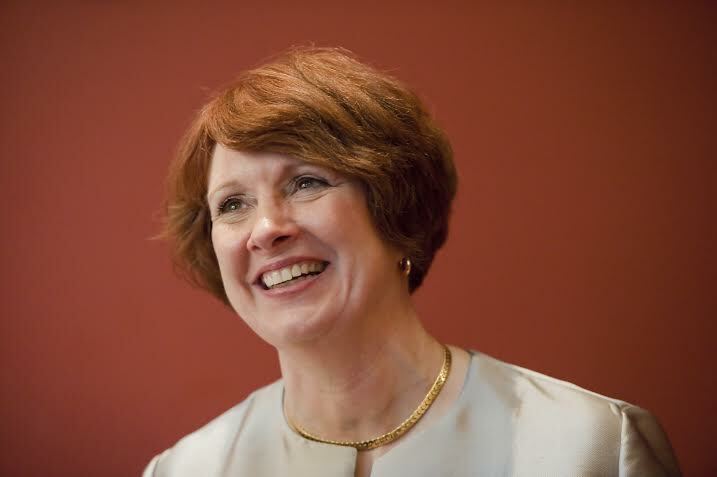 We will begin a yearlong celebration of the Seton Hill Centennial in January 2018, and I am pleased to announce that 1969 alumna and former Board of Trustees Chair Michele M. Ridge has agreed to serve as chair of the Centennial Celebration Committee, which includes alumni, students, faculty and staff. The Centennial theme - 100 Years Forward - speaks to both Seton Hill’s past and to what is yet to come. In the coming weeks and months, you will hear more about the events, exhibits and speakers on campus who will make 2018 a special year in Seton Hill’s history. I hope you will join us during this celebratory time.